JOHANNESBURG - At first it seems like the 2-year-old boy is just playing with the knobs and buttons of a sophisticated music system. Yet he is in control of the beat of the bass-heavy house music. 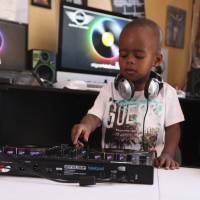 He is South Africa’s youngest disc jockey: DJ AJ. At a shopping mall appearance, a crowd gathers around as he bops his head to the beat, his large headphones slipping off. Adults whip out their cellphones. Children stare. Oratilwe Hlongwane is still learning to put together words but is already able to play music from a laptop and has gone viral on South Africa’s social media. His mother, Refiloe Marumo, credits his father’s decision to buy an iPad for his then unborn son. Glen Hlongwane planned to download educational apps to speed up his child’s education. Hlongwane, a gymnastics coach and aspiring DJ, also downloaded a DJ app for himself. At about a year old, DJ AJ learned how to manipulate the gadget. Not satisfied with number recognition games, he began to fiddle with his father’s DJ app. The parents were blown away when their son, still in diapers, repeated what he had learned on the app on actual DJ equipment, playing with sound effects and bouncing between songs. A cellphone video of him playing went viral, and now DJ AJ has nearly 25,000 Facebook fans. But celebrity has also brought some criticism as some accused his parents of abuse and profiting from their child’s precocious ability. “I’m not going to exploit my kid,” said his father. 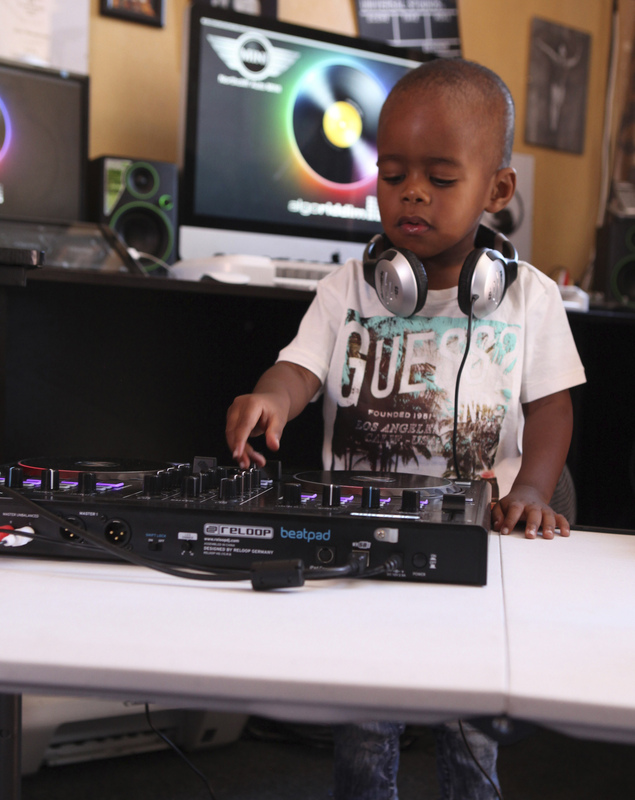 DJ AJ’s parents will not allow him to play in clubs or at parties.